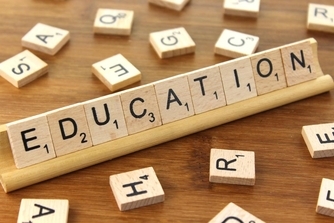 OMS' education and training offerings include digital skills course development, ICT competency development, eHealth education and curriculum, development and business English course development and delivery. Our educational, training and learning materials in digital skills, eHealth skills and information technology courseware can be utilizsed online and in our company-based customised courses. Our programs and courseware will also soon be available at secondary schools (Hochschulen/Gymnasien), colleges (Fachhochschulen) and universities, and specialty schools on a global basis. Do you or your clinic staff need training in Business English (American or UK)? Maybe eHealth training? Do you need assistance with a Command Center or a go-live, or just-in-time training? We specialise in working with doctors, nurses and medical assistants! Maybe you need a specialty course developed to assist your staff in the use of a new technology, or the use of a Krankenhaus Information System/Health Information System such as EPIC, Cerner, AGFA, Meierhofer or Doc Cirrus. We have expertise in the design and development of written courses and textbooks, customised workbooks, lessons and activities, blended online and classroom training courses, and strictly online courses and tutorials. 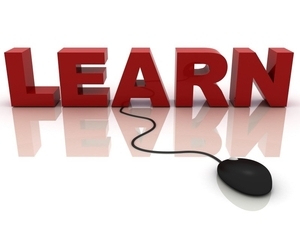 All of our online learning is safe and secure, and conforms to data privacy regulations. Are you interested in private courses or tutoring? 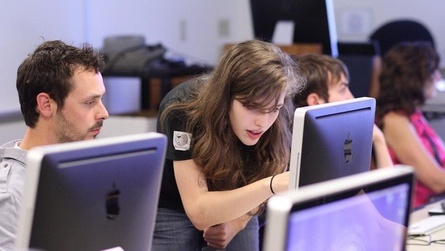 We develop and train courses for as few as one, or as many as 50 or more. We also specialise in customized rounding sessions, seminars and speaking engagements. Let us know your needs, and we will deliver your solutions immediately! 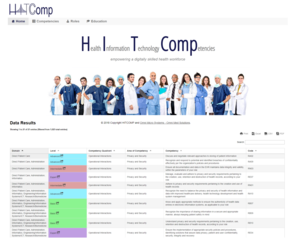 HITComp is our online eHealth competency tool and resource. Omni Micro Systems – Omni Med Solutions co-developed and maintains HITComp as an open-source platform available to all members of the eHealth and digital communities on a global basis. HITComp is a searchable database designed for educators, workforce developers, current and future workforce members, students, eHealth managers, staffing experts and other interested parties in healthcare information technology/eHealth. The HITComp Tool and Repository can be used to compile information on skills and competencies needed for a variety of healthcare roles, levels and areas of knowledge. You can sort over 1000 competencies in five domains – Direct Patient Care, Administration, Informatics, Engineering/IS/ICT and Research/Biomedicine. Competencies are associated with a particular level of skill (Baseline, Basic, Intermediate, Advanced and Expert). Competencies are also mapped to over 250 health IT-impacted roles in Acute Care and other health care settings in each of the five domains. There are two types of queries you can perform within HITComp: role-based and competency-based. From the Competency tab, you can perform a search from our database of competencies. With a competency search you can aggregate results by domain, by level, or within 33 areas of competency. From the Roles tab, you can perform a search of eHealth impacted job roles in healthcare. You can filter and sort your search by domain, by job type and service category, and by matching competency levels. You can also display the equivalent role in five European languages (UK English, French, German, Italian and Spanish). A description of each role is given. Finally, you can export your search results from either tab to a file for your own use. Our current eHealth courseware includes a comprehensive Foundational Curriculum, which was developed in conjunction with the European Union’s Horizon 2020 project, EU-US eHealth Work, and our partners at Tampere University. 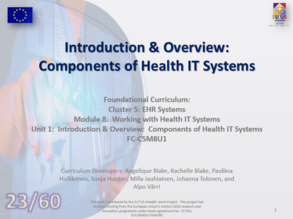 The EU*US eHealth Foundational Curriculum is designed as a global introductory online learning program in health information technology/eHealth. It is designed to impart digital and eHealth skills to those working in, interested in, or desiring to enter the healthcare field. From beginning to end, it is a 60-hour course and requires at least 60 hours of viewing time. It is designed to provide baseline and basic eHealth skills in conjunction with the competencies outlined in HITComp. 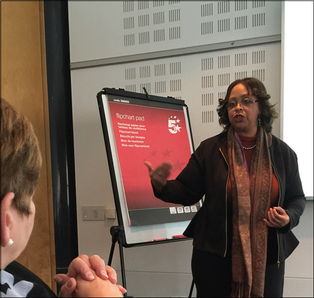 The course includes 10 clusters in 21 modules, broken down into units in 40 different areas of competency. The unit objectives align with HITComp competencies at the baseline and basic levels. In conjunction with the EU*US eHealth Work Project, OMS also developed the Interactive Website Platform, a one-stop location for tools, resources, education and information (TRIE) regarding everything eHealth. The Interactive Web Platform (IWP) merges several of the tools, resources and other innovations developed during the project and serves as a focal point of education, information and career development capabilities. The IWP also serves to connect the Skills and Knowledge Assessment and Development Framework to the actors, which can access this tool through this venue or via the main project website to take full advantage of the self-assessment utilities that the SKAD offers. Secondarily, as designed, the IWP provides a one-stop area of focus for students and others interested in the health information technology/eHealth field to learn about careers and career requirements, particularly through the ESCO and other platforms, providing linkage to information regarding necessary skills needed for entry and advancement. Finally, the IWP provides a site for additional dissemination and exploitation of core components developed within the project as well as other basic skills and training in HIT and eHealth, with dynamic linkage to additional areas to explore development opportunities within the eHealth workforce as a new or incumbent member.